This book is about going beyond dichotomy. 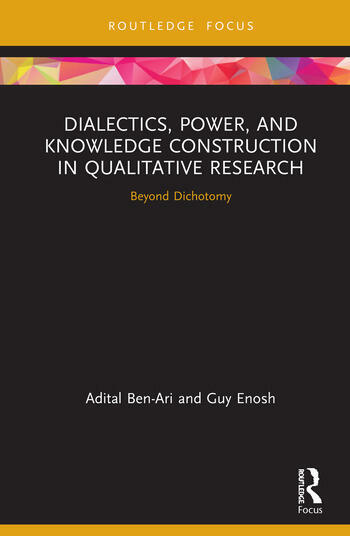 The research literature in social sciences is full of apparent dichotomies such as the dichotomy between: qualitative and quantitative approaches; ‘reality’ and ‘multiple-realities’; ontology and epistemology; researchers and participants; the right and wrong conduct of research; and sometimes even between the goals of research and the ethics of research. Throughout the book, it is shown that adopting a dialectical approach, which attempts to integrate apparent contradictions and opposites at a higher level of abstraction, may serve as a way out of the twin horns of such dilemmas. To begin this journey, the authors start with the classical dilemma of the relationship between ‘reality’ and ‘knowledge’, as a common divide between the quantitative and qualitative epistemological paradigms, and the philosophical assumptions underlying them. To illustrate the understanding of the relationship between knowledge and reality, metaphors of ‘maps and territories’ are used, as a framework for the dialectical construction of knowledge. This book will be valuable to a diverse readership, including scholars interested in epistemology and philosophy of science and research methods, mainly from qualitative traditions. It will also be of interest to quantitative researchers as well, including supervisors of graduate students, lecturers and most importantly, students and researchers-to-be. Adital Ben-Ari is a Professor of Social Work at the School of Social Work, University of Haifa, Israel. Guy Enosh is an Associate Professor of Social Work at the School of Social Work, University of Haifa, Israel.